Submerging most regular drones in water probably wouldn’t be the best idea. Waterproof Lily drone has failed, and I hope you didn’t order one as there were some problems with refunds. So, if you’re still looking for a drone to fly over glistening lakes, film water activities or even submerge it in water, Swellpro Drones can be a good solution. 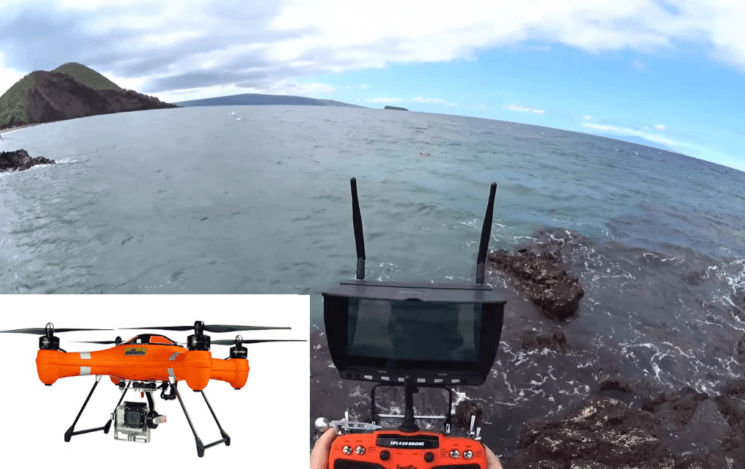 This video from Dustin Dunnill demonstrates how the drone works both in the air and underwater. You can get it in and out of the ocean like a teabag, and it rises up and flies with no trouble. Waterproof and anti-corrosion, able to float on the surface, 100% safe on the water. High wind and water-pressure resistance, available in all weathers and all environments. 1kg payload capacity, capable of carrying more than 10 sinkers and baits at one line, the release mechanism of Splash drone fisherman conducts safe and precise release of fishing baits in desired locations. The release mechanism is incorporated with a FPV waterproof camera, which can help you find fish in deep water and see where you are supposed to drop the bait. 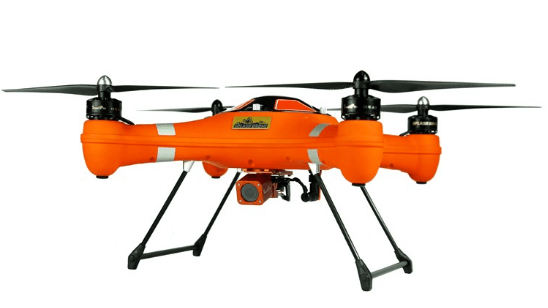 Able to haul long fishing line up to 1km, 20m/s flight speed enables fast delivery, a long flight time of 20minutes. Live video feed over 1km on FPV monitor. Auto return home with one switch after Splash drone finished dropped the baits, prevent losing your drone out of visual line sight. Easy to control, added with GPS stabilization, no pilot experienced required. 100% waterproof frame and anti-corrosion, it is able to land and float on the water, even submerge in the water, fully workable in all weathers and all environments. It introduces the world’s first waterproof 2-axis gimbal which support GoPro hero 3,3+ and 4. Waterproof fishing line release rig enables fast bait delivery over 1000km to the targeted location. The max payload capacity is up to 1kg. Also used for water rescue by delivering lifesaving equipment. Nearly non-delay 1km video transmission through 5.8G, with high resolution 5” FPV monitor present live video feed as well as OSD of flight status. Dual GPS/glonass mode and serious sensors enable position holding, it is able to automatically land or return home to prevent accidental loss. Smart flight modes with ground station: waypoints/mission planning, tap to fly, circle flight and autonomous follow-me. Available by APP control on the android or IOS mobile device. High power system: 590KV waterproof motors, 40A ESC, 5200maH lipo battery and self-tightened full carbon fiber propellers. I recently had a conversation and I said that I would be too scared to fly a drone above water, as I would most likely have it crash down. But I believe that with something like this, the clumsy ones like me would be on the safe side. What do you think? 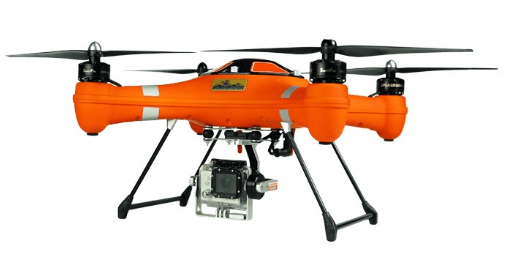 Would you consider investing into this drone for filming underwater and in rainy weather? Or you have a better solution to suggest? That’s an impressive drone. If one is drone fishing and it catches a big one, how will it fare on reeling the fish in? Seems interesting I think its might be easy to shot with a drone with the help of drone you can shoot what you want and where you want. I am photography and now diffidently I do that I the future I would add http://www.studio77.ae/services/engagement-photography-dubai/ here can amazing ideas about how to capture images.